Two months from today, on May 6th, it is likely that we – the British public – will be invited to go to the election polls. Who and how many of us actually turn up is another matter. For those that do, we will be placing our vote with the (naive?) hope that the next government will do many things. Combating climate change sits at the top of my wish list. This must be an overarching theme of the work for the next parliamentary term. The significance and urgency of this task should not be under-estimated. We all know that the clock is ticking. According to analysis carried out by nef, we only have 81 months before we reach a crucial tipping point – the point at which it is no longer likely that we will be able to avert potentially irreversible climate change. With this in mind, how much of a priority is the issue of climate change in the current campaigns of the two main parties? The answer, in short, is that it isn’t a priority. A quick review of the main new items listed on the Labour and Conservative websites highlights that not one reference has been made to ‘climate change’, ‘environment’ or even ‘green’ in the past week. Not one. The Labour party’s ‘energy and climate change’ page has not been updated since December, when they were canvassing for support for a deal at Copenhagen (so much for that). We see an equal paucity of interest amongst the Conservatives. Despite David Cameron claiming recently that the Conservatives are ‘the new environmental party in Britain’, the party has not released a news story on climate change and energy since early january. The Green Party, it seems, do not need to start to worry. A low level of interest from the two main parties highlights that we have a vital role to play, as voters and activists, to move the issue up the political agenda. And now is the time to do so. We only have two months left. Write emails, wave a placard, start a campaign to get elected to parliament. Whatever it is, let’s all take action to make climate change a top priority for the election campaign and so the next government. Two months from today, on May 6th, it is likely that we- the British public- will be invited to go to the election polls. Who and how many of us actually turn up is another matter. For those that do, we will be placing our vote with the (naive?) hope that the next government will do many things. Combating climate change sits at the top of my wish list. This must be an overarching theme of the work for the next parliamentary term. The significance and urgency of this task should not be under-estimated. We all know that the clock is ticking. According to analysis carried out by nef, we only have 81 months before we reach our climate’s tipping point- the point at which it is no longer likely that we will be able to avert potentially irreversible climate change. With this in mind, how much of a priority is the issue of climate change in the current campaigns of the two main parties? The answer, in short, is that it isn’t a priority. A quick review of the main new items listed on the Labour and Conservative websites highlights that not one reference has been made to ‘climate change’, ‘environment’ or even ‘green’ in the past week. Not one. The Labour party’s ‘energy and climate change’ page has not been updated since December, when they were canvassing for support for a deal at Copenhagen (so much for that). We see an equal paucity of interest amongst the Conservatives. Despite David Cameron claiming that the Conservatives are ‘the new environmental party in Britain’, the party has not released a news story on climate change and energy since early january. The Green Party, it seems, do not need to start to worry. A low level of interest from the two main parties highlights that we have a vital role to play, as voters and activists, to move the issue up the political agenda. And now is the time to do so. We only have two months left. Write emails, wave a placard, start a campaign to get elected to parliament. Whatever it is, lets all take action to make climate change a top priority for the election campaign and so the next government. With the glimmering colourful lights and the smell of popcorn, the Empire at Leicester square seems an unlikely place for serious discussion on public policy. Yet it may be the starting point for an important movement to change public perceptions and the politics of youth justice. Yesterday about 400 people were gathered at the Empire for the first screening of the documentary The Fear Factory. The film powerfully described how the fear of crime is maintained by sensationalist media coverage and the cynical tactics of political parties. This has lead to harsher and more punitive responses to youth crime, which in many cases do little more than entrench the criminal behaviour. The documentary, produced by Spirit Level Films, is connected with a campaign for a criminal justice policy that is more humane and long-term in its perspective – and ultimately better at delivering safety for our neighbourhoods. nef’s latest report Punishing Costs was launched in connection with the screening. With interviews from key experts and practitioners, the documentary shows how the public’s beliefs about the risk of becoming a victim and the general trends in the amount of crime were far from reality and all evidence. Britain has become a safer place in the past two decades – yet the fear of crime remains stubbornly high. Unfortunately, it is perceptions that drive politics. One of the safest political strategies in the recent past has been to promise to crack down misbehaving youth and to hit them where it hurts. The Fear Factory documents how any deviation from this pattern is quickly struck down, as happened to Cameron when he suggested understanding the social causes of crime. The film also points an accusing finger at the media that gives disproportionate attention to violent cases and misrepresents sentencing as more lenient than it is in truth. This reaction may actually create the monster that it so much fears. In the climate of alarm about youth crime, the imprisonment of children and young people has remained on very high levels. Prison as an intervention is incapable of dealing with the real causes of crime, and does little more than temporarily isolates an individual from contact with society. About three in four young people released from prison return to crime within a single year. At the same time custody uses up massive amounts of resources that could have truly improved the safety on our streets. Our report Punishing Costs shows how the full cost of a year-long sentence in prison is £140,000. It is worth pausing to think about what could be achieved if these resources would be put to a positive use. The screening was followed by an excellent panel that included some prominent criminologists and politicians – and an ex-editor of a tabloid who astonishingly displayed no sense of regret for his past role. Most of the panellist agreed that current policy was too much determined by knee-jerk reactions to high-visibility criminal cases in the media and an arms race between the parties to appear to be the true guardians of law and order. One of the solutions they proposed by the speakers was to create a cross-party committee for a longer-term vision of developing criminal justice policy that all parties would sign up to. This would curtail the harmful competition between parties, which has led to the current punitive arrangements that hardly anyone believes to be productive or humane. Such a committee, together with a better debate and engagement with the public, is part of the recommendations of Punishing Costs. Documentaries are powerful tools in transmitting knowledge and awareness of issues. At a time when the media is transmitting a largely false picture and political parties are failing to take the leadership to change perceptions, a film may be exactly the tool that is needed. I hope the Fear Factory, and the coalition forming to campaign around it, receive the attention they deserve. One of the most interesting constitutional reform projects to arise in the wake of last year’s expenses scandal is Power 2010. Rather than relying on academics, politicians or journalists to tell us what reform is needed, Power 2010 asked members of the public to submit their own ideas. Browsing through the ideas sent in, I was struck by two things. Firstly, people care about democracy. The enthusiasm and imagination on display, gives lie to the story of the apathetic and disengaged public often peddled by journalists and politicians. Secondly, there is a great deal of disagreement about what needs to be done. From more direct democracy, to new ways of holding politicians to account, to electoral reform, to ideas to redistribute political power, the range of ideas on display is so broad that it was difficult to know where to begin. To get my head round the ideas, I went back to first principles. I thought first of John Stuart Mill, who said, ‘a people among whom there is no habit of spontaneous action for a collective interest – who look habitually to their government to command or prompt them in all matters of joint concern – have their faculties only half developed.’ Democracy is a muscle. You don’t build the muscles of your body by watching an athlete on the telly, and you don’t build your democratic muscles by watching election coverage. To get better at democracy, we need to practice politics ourselves, in referendums, town-hall meetings or public debates, not just watch it on the news. I thought second of Abraham Lincoln and the Gettysburg Address. Lincoln didn’t talk about ‘government by the politicians, for some of the people’. Rather, he referred to “government of the people, by the people, for the people”. For me, democracy has never been so well, or so succinctly, defined. I coupled Lincoln with British academic Peter Reason, who wrote, ‘participation is a political imperative: it affirms the fundamental human right of persons to contribute to decisions which affect them. Participation is thus fundamental to human flourishing.’ For example, evidence shows that people participating in referenda in Switzerland are significantly happier. From these quotes, I drew three conclusions. First, that while we need more referendums – an idea which croups up over and over again – the danger is that they omit the information and the conversation that helps people form good judgements. Second, that if we are to exercise our muscles, we have to make the effort to find common ground with people with whom we disagree. Third, that in order to build up those muscles, we also have to address the problematic trade-offs that politics has always involved, especially in the next few years as we are forced to make difficult decisions about how to cut public spending. regular citizens meetings where communities can come together to seek information, exchange ideas and hold their representatives to account. In very different ways, these two ideas point to a new kind of democracy – one where power resides not only in elected representatives and appointed officials, but also in citizens themselves, working together to build a society around the things that really matter. 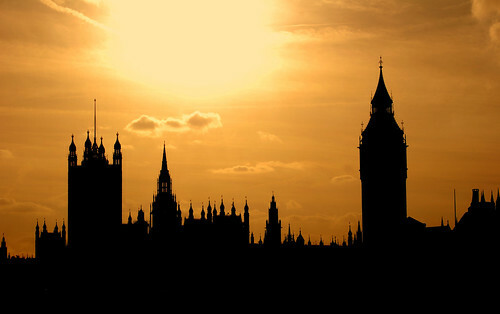 Leading members of the three main political parties addressed the second meeting of the All-Party Parliamentary Group on Wellbeing Economics yesterday, with a striking degree of consensus that well-being should urgently rise up the political agenda. Labour peer Professor Lord Richard Layard, Oliver Letwin MP, Chair of the Conservative Research Department and Policy Review and Chris Huhne MP, Liberal Democrat Shadow Home Secretary, all agreed that GDP fails as an adequate measure of welfare and pointed to the need for a new way of measuring the things that are really important. The comments of all three speakers supported the aims of the Group, for which nef acts as the secretariat, to challenge GDP as the sole indicator of wealth and promote new measures of societal progress. The speakers agreed that policy-making should be much more focused on what well-being research tell us are the drivers of high well-being, with lots of emphasis given to the importance of supporting good relationships. But there was not unanimity on all points of policy. For example, only Chris Huhne mentioned, as a strong argument in favour of progressive taxation, the varying well-being value of an extra pound of income to people with different levels of economic wealth. However, there was general consent to the proposition that without a strong headline measure to rival GDP, the well-being agenda would not get the attention it requires. Oliver Letwin perhaps went furthest in this direction. He spoke of the ‘terrible danger’ that the Conservatives would find themselves in government and under pressure to focus only on traditional political issues unless a ‘serious, competing measure’ of well-being could be produced. He pointed to the need for all three parties to act in step to create a ‘political licence to talk about what really matters’. As Chair Jo Swinson MP pointed out, this is exactly what the ongoing work of the All-Party Parliamentary Group will aim to bring about. Could the Conservatives be the party to ditch economic growth as a policy and oversee the change our climate needs? There are only seven more annual political conference seasons to go before the world enters a new, far more dangerous phase of unpredictable global warming, based on the risk categories of climate scientists. That means we should already be able to see genuine solutions emerging in the debates and speeches echoing around the nation’s conference capitals of Brighton, Bournemouth and Manchester. It also means that whoever is successfully elected to form the next government in 2010, they will almost certainly be in power during the period when the fate of the atmosphere is settled. Except, perhaps, during wartime, history rarely offers up such a definitive performance indicator for a government. But here, for better or worse, the words, “it happened on your watch” will be carved, probably in coal, on their headstone. New research from the Hadley Centre, part of the government’s own Met Office, set the scene for the political challenge. It warns that we should now plan for the possibility of a 4C temperature rise by 2060. This is far beyond the maximum 2C rise considered a maximum safe threshold before the environmental dominoes start to fall. On 25 September, the Friday before the Labour party conference began, the world went into ecological debt for the year, beginning to consume more resources and produce more waste than the planet could handle. The challenge couldn’t be clearer. Bad accounting, poor risk assessment and profligate behaviour nearly destroyed the global financial system. It threatens to do the same to a climate conducive to civilisation. It’s not reform that the next government must oversee, but paradigm shift. Yet in the last few weeks, the siren voices for a return to business as usual have been getting louder. We need bonuses back, says the City, although they never really went away, to get and keep the best talent. But that was hardly a good strategy last time, when the “best talent” on bonuses wrought chaos. The Confederation of British Industry says recovery depends on cutting back regulation. But an absence of appropriate regulation is the slippery slope down which the economy and environment slide. Others call for another wave of no-strings bailouts for the fossil fuel-intensive car industry. These voices, effectively, are telling the survivors of a sinking ship to leave their lifeboats and climb back on board. As the Conservative party takes energy from Labour’s disarray and disheartenment is there any sign that they might do the seemingly unthinkable, and consider radical economic redesign to prevent what happened to the banking system from happening to the climate system? On one hand, there is a disturbing and furtive creep of old vested interests. Big money, big business, old school connections looking to return to their comfort zone after more than a decade of feeling culturally uncomfortable with a Labour government. Regressive tax, more binge consumerism and dirty and weakly regulated industry are all poised for a potentially easy ride. Yet the Conservatives are also on a journey to distance themselves from their own past. What started as an unavoidable rebranding exercise can take on a life of its own. David Cameron is on record as saying that well-being is as, if not more, important than growth in an economy. An increasing number of voices from Nobel economists down are pointing out the ultimate incompatibility of endless rich country economic growth with the preservation of a habitable planet. What’s interesting for the Conservatives is that ditching growth as the single, overarching economic policy obsession could well revive ways of living that they find politically appealing. A world in which there is much less passive consumption of goods and services is a world in which we do many more things for ourselves and each other. It’s a world not of absolute but much greater self-sufficiency, at the national, local and even individual level. In other words, it’s a world in which we have much more control over our own fate. A revival of real local democracy beckons in which we are more responsible locally for our own food, energy and the reciprocal delivery of services. With 86 months to go, that doesn’t sound too bad to a public very jaded about UK politics – it may even sound infinitely preferable. Here at nef, we like to talk about the triple crunch: the interlinked crises of climate change, economic meltdown and diminuishing supplies of fossil fuels. But that’s not the whole story. The breakdown in economic consensus in the wake of the credit crunch points towards other crunches: evapourating trust in established politics and a coming ‘social’ crunch, as the gap between rich and poor gets wider. Our friends at Compass will be exploring these latter aspects of our current predicament at their major conference No Turning Back happening later this month. The aim is to forge a new political and economic settlement for the 21st century with democracy, equality and sustainability at its heart. nef will be joining the fray. Our policy director Andrew Simms will proudly commit what he calls ‘the final heresy’ by questioning the justifications behind economic growth. Juliet Michaelson, a researcher at nef‘s centre for well-being and one of the brains behind our National Accounts of Well-being, will be talking about work, happiness and democracy. And finally Dr Stephen Spratt, nef‘s chief economist, probably won’t be grieving too much as he joins a panel on The Death of the Free Market. Non-nef highlights include Jon Cruddas MP, Chukku Umana, Billy Hayes of the CWU, Prof Richard Wilkinson and Dr Kate Pickett (authors of The Spirit Level), Polly Toynbee and John Harris of the Guardian, Nick Hildyard from The Corner House, and plenty more besides. Tickets for the conference are going quickly, so make sure you book as soon as possible if you want to be there.